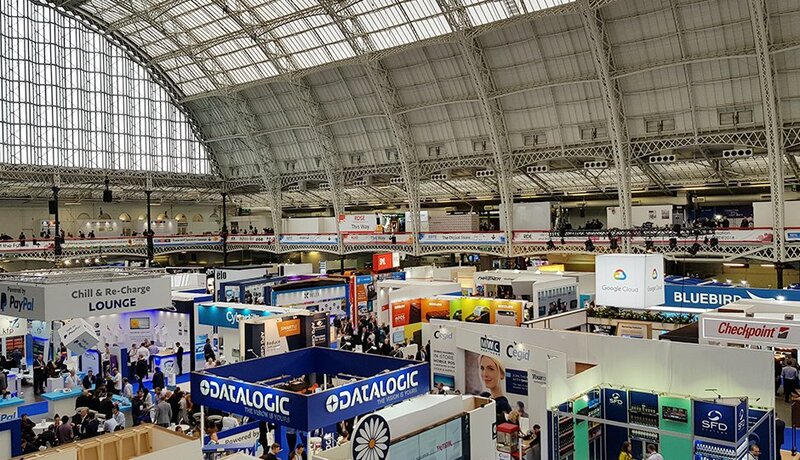 London Olympia’s RBTE Conference delivered great insight into all things retail. This encompassing event showcased the latest gadgets and must-have design solutions for all sectors. For businesses, the focus was on the end-to-end solutions; from the supply chain through to the customer. For designers, the exhibitions covered all areas of visual merchandising and branding of retail spaces. Lastly, for digital, new tech suppliers exhibited in front of the retail industry. 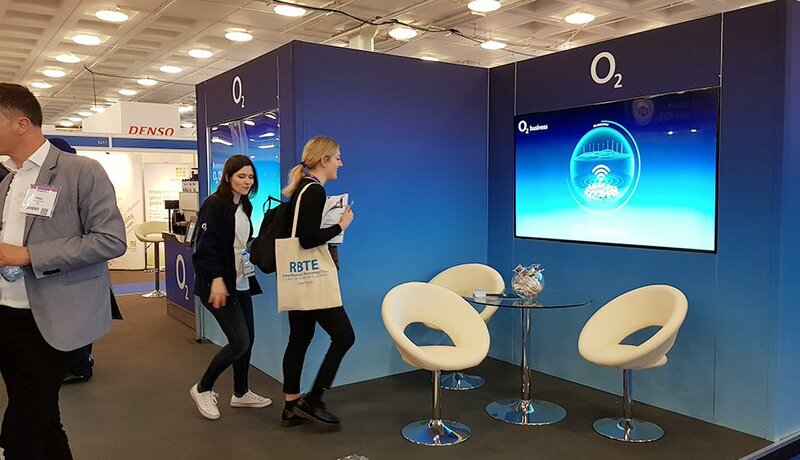 Covering screens, kiosks, software providers, integrators and content management through to video walls, media players, networking solutions, installation and more. You name it, it was there. You couldn’t miss it. AR and VR are the buzzwords on everyone’s lips. Viewing new innovations for the retail industry is extremely exciting. Walking past a 3D digital display and immediately engaging with the campaign content emphasised just how far-reaching marketers are exploring new digital platforms for retail stores. 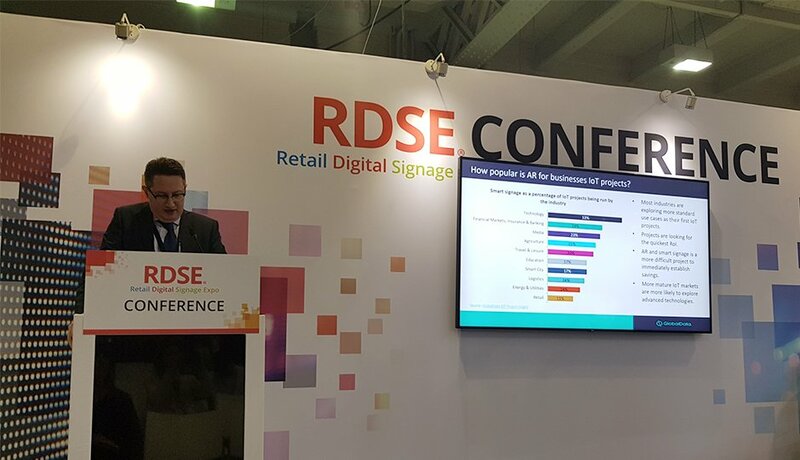 Having sat in on one of the Digital Signage conferences, GlobalData Research Company claimed ‘more mature IoT markets are more likely to explore advanced technologies’. This raised two key points when using new technology. Reliability and profitability. The panellist provided a good example of tech at the new John Lewis flagship store in Oxford Street. Traditionally the use of mobile phones on the shop floor by staff members has been frowned upon. However, in their latest store move staff provide a concierge-style service to the customer. As part of their standardised uniform, they hold the latest iPhones, providing access to all their in-store retail and IT needs – enhancing the customer experience. What I would question is have brands detached themselves too much from the ‘human’ experience? A panel discussion for Stores of the Future spoke in depth about where the future of retail is taking consumers. The challenge that faces retailers is predicting what customers want from the Stores of the Future. Simon Bentley, Retail Director for Trek Bicycle, previously worked at O2. He highlighted how the existing model for phone stores and the telecoms sector was developed in conception. They are very basic and nothing digital primarily as the focus is on customer service, with knowledge and helpfulness being the key to sales. Tech can be a distraction. Sigrid Brewka-Steeves, Design Director Retail for Adidas, passionately argued that clients need to be braver and promoted how it is important to fight to be creative. Their brand never stands still and never repeats what they have done before. It is important to inject different things into a space which in retail has to offer that flexibility for activations. The next generation desires a sense of belonging and know what they want but don’t know how it looks. 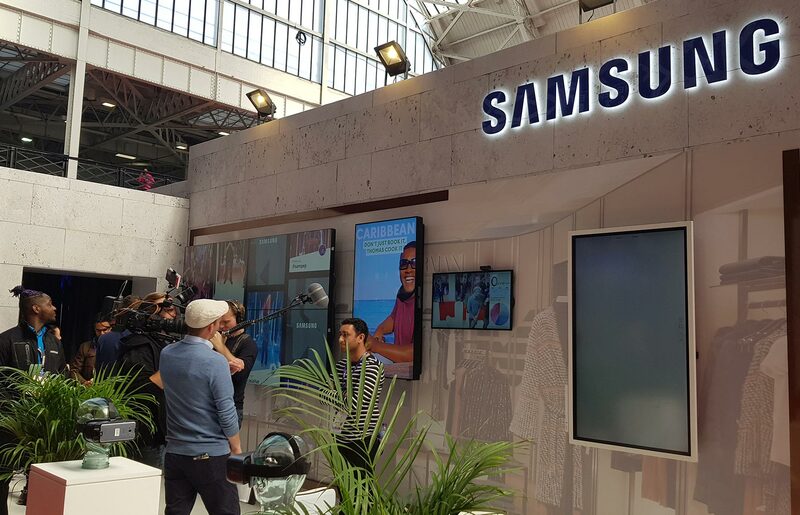 Experience Director Tim Manning from Swarm Group emphasised the importance of personalised experiences, that the feelings and emotions of a consumer are what ultimately drives footfall into a retail space. As human beings, we crave emotion and community. It’s an anthropological instinct to have a tribe. He provided a good example of this, highlighting Sweaty Betty, a brand who sell sportswear and water bottles. They have opened a new gym in Guildford, which makes perfect sense for customer experience. However, Ted Baker launching a gym based activation could be seen as off-brand and quite jarring. In both online and offline, my analysis is that human engagement and experience should be realised from the brief, through to the strategy and concept, built into the design stage, lastly not leaving the store employees behind. Experiences are important and should be built into the transactional process. As an agency, we are just a ‘nudge’ for them. Previous We Loved It so Much We’re Doing It Again!